The Daytona 500 is a 500-mile-long race held annually at Daytona International Speedway in Daytona Beach, FL. It is the first race of the Monster Energy NASCAR Cup Series. The 2018 season start brought a host of new rules and personnel regulations for the teams to adjust to. Team Penske also welcomed up-and-coming driver Ryan Blaney to the roster, expanding the Shell-Pennzoil footprint even further. Team Penske now fields three competitive cars in the Monster Energy Cup Series. Attendance for 2018 sold out again at 101,500 on race day. Fox announced this year's broadcast had a rating of 5.1 in initial overnight results. The rating was down compared to last year, where the Olympics were not a factor in viewership. We welcomed guests from all over the world, some for their first-ever NASCAR race, to experience the 60th running of the Great American Race. A massive advantage of being engaged in sponsorship is that it gives you a platform to bring the most important stakeholders of your business together. On Saturday evening, guests from every corner of Shell's businesses, came together and spent meaningful time connecting. 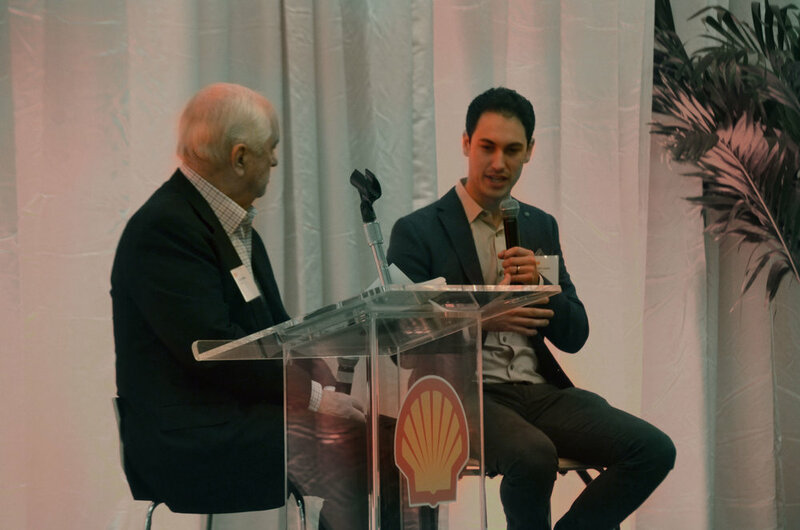 The evening started off with a welcome address from Shell Leadership and moved into a great discussion between Roger Penske and Joey Logano about how important technical partnerships are to producing great results on and off the race track. Top customers and leadership from: Shell Corporate, Shell Retail, Shell Lubricants, Motiva, Team Penske, various distributors, top-performing customers and sales contest winners. When you have this many influential people together sharing time and engaging with one another, it has the makings to create lasting business opportunities. The activities and engagement extended beyond the track in Daytona. Leveraging the Shell performance display and merchandising efforts of the #22 experiential marketing team, customers came by four local Walmarts to see what NASCAR was all about. This access also helps business units understand what the competitive landscape is like, and how to improve sales offerings at some of the most important markets. 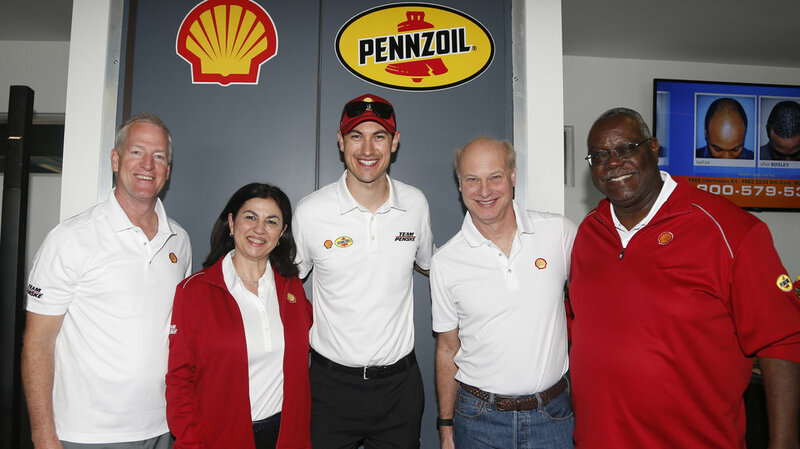 Leading up to the Daytona 500, The @shellracingus handle featured some behind-the-scenes #TrackTalks with Joey Logano to give fans a little more insight into what goes into his work. This focused on the build up to the race, where guests were then able to meet with Joey himself at dinner and in the suite. Continuing our 2018 #TrackTalk with @Shell / @Pennzoil driver @joeylogano . 90 guests from around the world joined us in Daytona for experiences that went well beyond the track. They called the newly refurbished High Bank Suites their basecamp at the track for the weekend, with remarkable Turn 1 views and indoor/outdoor comfort. A special appearance by Joey Logano on race day made for a unique experience to hear all of the preparation that goes into the team's performance. With nearly unanimous excellent marks gathered from a post-event satisfaction survey, we look forward to hosting again at next year's event. "Top notch. The pit experience both before and during the race was outstanding and certainly memorable for guests." "Guides were great! I learned so much! :). Joey was terrific and the Penske's were extremely gracious and generous with their time." Just wanted to say thank you for the fabulous weekend. You and your staff did an excellent job as usual. [We] had a great time. 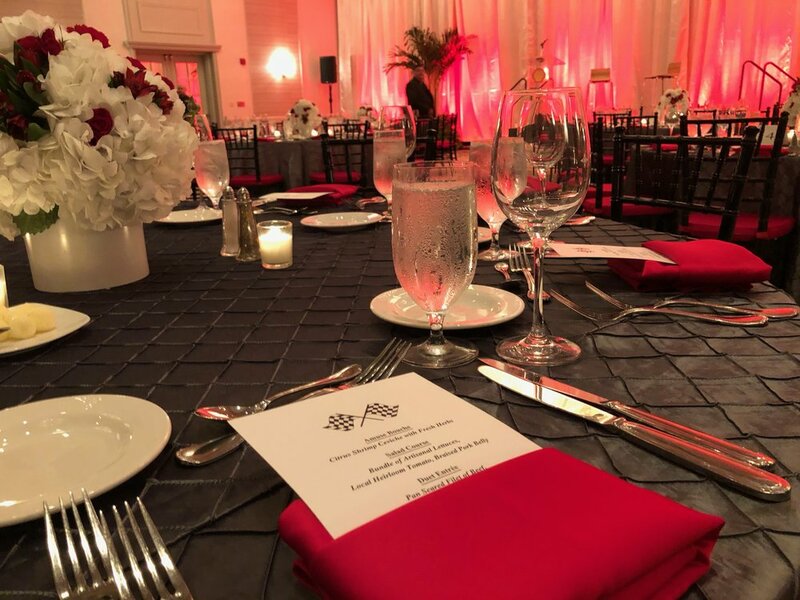 "This is a bucket list event for many and to have the time to have conversations throughout the weekend is priceless, it is also about keeping relationships with key customers that have been a Shell wholesaler for years." 🏁"Share with staff the wins/benefits from actual partner/customer/supplier attendance - generating more opportunities for invites to others." 🏁"Start thinking about the next generation. How do we engage millennials? How do we bring in a CSR opportunity to make us more 'human' as a brand and easier for people to connect with?" 🏁"Continue to position the Shell brand and the Penske brand in a light of quality and performance." 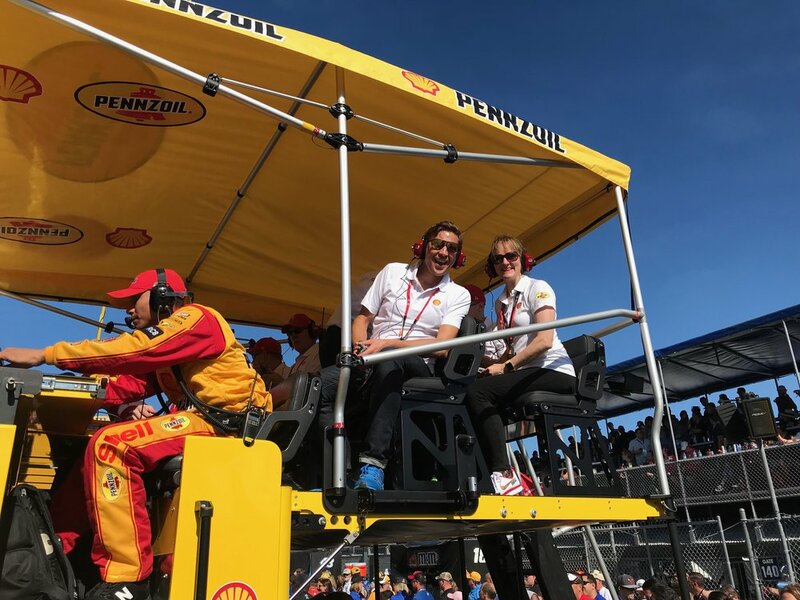 🏁"The suite needed more engagement - for example a simulator or VR experience, Shell/Pennzoil content playing on screens, competitions, opportunities to find out more about the event and our brand and the long standing association with Penske."